Branding is all about creating the right image of your company in people’s minds. So, how do you create that image? You write about your company, you adopt a slogan, you use pictures, colors, and themes on your social media and website, and you offer services to show your customers who you are and what you stand for. But there is branding, and then there is successful branding. Even though your company has everything it takes, you have to showcase its full potential by reaching your target audience. 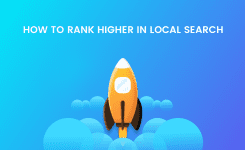 SEO, or Search Engine Optimization, is just one of many tools you can use to ensure you’re reaching prospective clients. Let’s say you’re a catering company and you need to reach a certain audience of people who need you to cater at their wedding, birthday party, anniversary, and similar events. You’ve got a blog post ready; now you just need to make sure your audience actually reads it. They’re going to search for keywords such as “local catering” or “catering for grad party.” So, you need to optimize your blog post around those key words. SEO helps you do just that. First, install Yoast, an SEO plugin. Yoast is a life saver when it comes to smashing SEO. 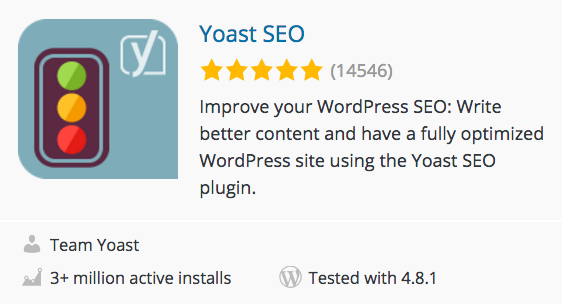 To install it, just log on to your WordPress blog, go to Plugins > Add New and type Yoast in the Search Plugins box. 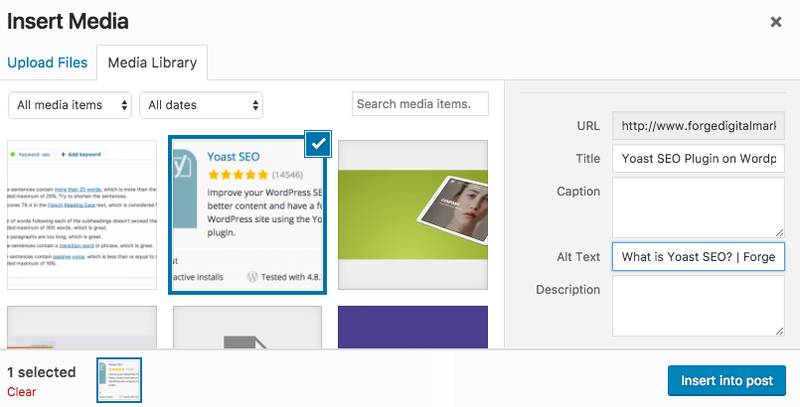 Download that and it will be enabled on all of your blog posts in edit mode. One of the first things you’ll notice when you see the Yoast plugin is a list of red, orange, and green lights. Your mission? To get the most green lights as possible. This process is known as Greenlighting (who da thunk?). This system lets you see what you’re doing right (green!) and what still needs improvement (red) with each post you publish. You can even click on the little eyeballs to make Yoast highlight your errors that need correcting. Google and other search engines change their algorithms all the time, but thankfully Yoast stays up to date with each and every change. This is the word that will most likely appear most often in your blog post — but wait! You also might not want to choose the most used word in your post because that can create a bad algorithm. Admittedly, this part is a little tricky. The idea is to choose a focus keyword that encompasses the general idea of what your post is about, but it shouldn’t be a word used redundantly in the entire post. It starts to read off as spam. You wouldn’t use the word “the” as your focus keyword, right? Just like you wouldn’t use the word “noodles” as your focus word if you use that word in every single sentence of your post about how to cook the best soba noodles. Instead, you would use the word “soba,” “Japanese,” “cook,” or “food” — whichever word produces the most green lights. So, you want to really sell the audience on your soba noodles recipe. Your first instinct should be to type “soba noodles recipe” into your search engine; now you can look at the titles of everyone else’s soba noodles recipes. And you definitely don’t want your title to be just like theirs — you want to stand out. I’ll let you decide which one sounds better: “The perfect soba noodles recipe to spice up your night” or “Soba noodles recipe.” An exciting, luring title is the key to excellent SEO. When you scroll through Facebook, do you read the little snippet beneath the link titles? That’s the meta description, and it’s usually the reason why you and many other users end up clicking the link — whether the content ends up being worth it or not. The meta description is finicky and can cause frustration at first, but once you get the hang of it, it’s not so bad. Make sure to incorporate the focus word, and it won’t be as difficult as it may seem. This is your chance to be the obnoxious television advertiser who really needs to draw in that audience! But…just try not to be too obnoxious, OK? Don’t forget images and links, links and images. You should have at least 5 solid links that your reader can click on in the middle of reading your article. Three links can be from your other blog posts, and two can be links to other websites, or vice versa — as long as the links are relevant to your content. This is one you probably never stop hearing — but it’s true. SEO doesn’t work unless you put in the work. Say what you have to say in a meaningful manner and make sure to explain the lot of it. 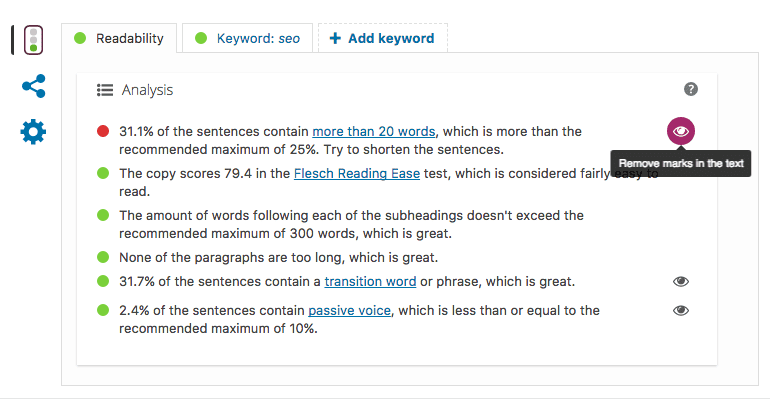 The Yoast plugin will let you know how you’re doing with its Readability feature, so keep an eye out for that, too (see below). When you use SEO, not only will your site traffic increase, but you’ll gain credibility from search engines and your customers alike. More traffic means more clients, and more credibility means more trust. SEO allows you to stand out from the competition, and it ultimately benefits your business in the long run. Interested in learning more about how your business can benefit from an SEO optimized blog? 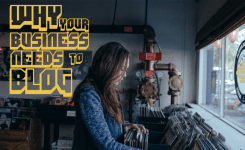 Check out this post on Why your business needs a blog. OR contact us today for a free consultation!